Home » Archive by category "Economic Importance of New Technology"
President Obama and President Calderón of Mexico hold a joint press availability in the Rose Garden after meeting at the White House during President Calderóns state visit. May 19, 2010. Globalization symbolizes the structural making of the world characterized by the free flow of technology and human resources across national boundaries presenting an ever-changing and competitive business environment. A vital aspect of globalization is the way diverse challenges are being faced by nations in an increasingly inter dependent world. No country can meaningfully progress today without efficiently responding to demands and pressures generated by international organizations and processes. World Trade Organization (WTO) for instance is bound to lead in a whole new system of trading relations. This paper is an attempt to address two limitations. First the human factor is the key in the new era of globalization, a primary objective of this paper is to present a conceptual framework for effective management of human resources as a response to the growing interaction of globalization and business performance. That in order to manage employees for competitive edge in a period of globalization. And the second limitation of paper will focus on how training is important for fulfilling strategic goals and especially during times of technological growth and development in the modern world of ever changing information and innovation in order to meet the challenges of globalization. As we enter a new millennium, the effects of internationalization now known as globalization are everywhere apparent. This has played a major role in sustaining the economic expansion of the global economy in the second half of the 20thcentury. Globalization is seemingly shrinking the planet as barriers to trade are dismantled, transport and communications costs fall, and global production systems are formed and managed by giant multinational corporations. Globalization can be defined as the ongoing economic, technological, social, and political integration of the world that began after the Second World War. There are several dimensions to this dynamic process, including the increased internationalization of economic markets as reflected, for example, in trade and financial capital flows. The primary objective of this paper is to present a conceptual framework for strategic management of human resources as a response to the growing interaction of globalization and business performance. The rapid integration of the world economy through increased trade and investment, which has been fueled by new technologies, the spread of information and the growing importance of knowledge-based industries, provides the potential for opening up new avenues for human development. 1. That a great deal of evidence has accrued to suggest that changes taking place in the global business environment often are not accompanied by complementary changes in human resource management practices leading to a situation whereby the failure of some firms is due to the mismanagement of people rather than to problems with technical systems. 2.This is because organizations have achieved relatively low levels of effectiveness in implementing Strategic Human Resource Management practices. 3.That in order to manage employees for competitive edge in a period of globalization, human resource personnel must possess competencies relevant for effective implementation of such strategic HRM policies and training. The coming of the 21 century poses distinctive HRM challenges to business especially those operating across national boundaries as multinational or global enterprise. Competing in global markets entail many factors and centralization of its human resource practices is certainly vital to improve global competitiveness and empower employees for global assignments. To achieve success in global marketplace, the challenge of all businesses regardless of their size is to understand global corporate cultural differences and invest in human resources. There are certain human resource management issues that are particular for the global enterprise. The key issues involve staffing policies selecting and retaining talented employee, training and development whilst encouraging employees to be innovative and creative, culture barriers, and legal frame work. Others issues include understanding the challenges of living and working overseas, performance appraisals from a distance, training and management development, compensation packages, and labor relations and organized labor laws. 1. Human Resources (HR) management is fully integrated with the strategy and the strategic needs of the firm. 2. HR policies cohere both across policy areas and across hierarchies. 3. HR practices are adjusted, accepted, and used by line managers and employees as part of their everyday work. SHRM practices are macro-oriented, proactive and long term focused in nature; views human resources as assets or investments not expenses; implementation of SHRM practices bears linkage to organizational performance; and focusing on the alignment of human resources with firm strategy as a means of gaining competitive advantage. The role of people in the implementation of strategic responses has a significant bearing on the success rate. It is therefore imperative for organization to look at the human issues involved before implementation of any strategic responses. At this connection the question is: How can organizations effectively adopt, implement and maximize HRM practices for valued firm level outcomes? That is, how can firms increase the probability that they will adopt and then effectively implement appropriate HRM practices? Insuring that members of the HRM personnel have the appropriate human capital or competencies has been suggested as one way to increase the likelihood of effective implementation of HRM practices .The future HR professional will need four basic competencies to become partners in the strategic management process. These include business competence, professional and technical knowledge, integration competence and ability to manage change. HR professional competence describes the state-of-the-art HR knowledge, expertise and skill relevant for performing excellently within a traditional HR functional department such as recruitment and selection, training, compensation, etc. This competence insures that technical HR knowledge is both present and used within a firm. Business-related competence refers to the amount of business experience HR personnel have had outside the functional HR specialty. These capabilities should facilitate the selection and implementation of HRM policies and practices that fit the unique characteristics of a firm including its size, strategy, structure, and culture .In other words, these competencies will enable the HR staff to know the company’s business and understand its economic and financial capabilities necessary for making logical decisions that support the company’s strategic plan based on the most accurate information possible. The human resource function faces many challenges during the globalization process, including creating global mind-set within the HR group, creating practices that will be consistently applied in different locations/offices while also maintaining the various local cultures and practices, and communicating consistent corporate culture across the entire organization. To meet these challenges, organizations need to consider the HR function not as just an administrative service but as a strategic business. 1. Human resource managers may have achieved higher levels of HR professional competencies and lower levels of business related competencies. 2. The incidence of implementing strategic HR practices is lower in organizations especially in the developing countries. 3. Both HR professional competence and knowledge of the business (business related competence) significantly contribute to the extent of implementing SHRM Practices. 4. Managerial competencies are significantly related to organizational performance. 5. The extent of implementing SHRM practices contribute significantly to firm level outcomes. 6. The relationship between SHRM and organizational performance is affected by organizational context variables (firm size, level of technology and union coverage). It may be pertinent to point out here that the six propositions derived from the framework are particularly relevant for giving insights into the HRM challenges facing organizations in the new era globalization. In other words, these propositions will help us organize thought on the level of readiness (and otherwise) of organizations in response to the challenges of the global business environment. For example, if HR personnel especially in developing countries demonstrates higher levels of HR professional competence relative to the business-related competence (as found in the literature), it would be important to set right this wrong as a stepping stone for succeeding in global business. This is because to succeed in the new era of globalization, the human factor is central. That is why it is necessary for HR personnel to prove themselves beyond reasonable doubt that they are capable of playing key roles in enhancing the status of the HR department (Barney & Wright) must possess a thorough understanding of busines and also act as important influences in the level of integration between HR management and organizational strategy (Golden & Ramanujam). Firms competing in a global market place, and organizations are to survive and prosper in the modern world of rapid change, they need to be more flexible, faster-moving and faster-learning than before. For that firms are implementing special global training programs, the reason for doing to avoid lost business due to cultural insensitivity, improving job satisfaction and retention of overseas staff and enabling a newly assigned employee to communicate with colleagues abroad. Providing training for employees not only helps them develop their skills and knowledge, but it is also motivational and a building block to organisational success. Global training programs opt for prepackaged programs. (Gary Dessler). • Executive Etiquette for Global Transactions: This program prepares managers for conducting business globally by training them in business etiquette in other cultures. • Cross Cultural Technology Transfer: This program shows how cultural values affect perceptions of technology and technical learning. • International Protocol and Presentation: This program shows the correct way to handle people with tact and diplomacy in countries around the world. • Language Training: Language training delivered by certified instructors, usually determined by the learner’s needs. This article summarizes the interaction of globalization and business performance especially with a flavor of the challenges from the perspectives of human resources. This article presents a framework for Strategic Human Resource Management as a response to prepare organizations for the challenges of globalization. It has been observed that by and large organizations have achieved relatively low levels of effectiveness in implementing Strategic Human Resource Management (SHRM) practices (Huselid, et al.). The rampant pace of global competition, the speeds of technological developments, rapidly changing demographics, and the incredible increase in information technology have resulted in a business environment that changes day to day, hour to hour. To remain competitive in such a dynamic environment, businesses must continually improve their human resource management systems and organizational changes. If the propositions outlined above are supported, then the real challenge for organizations in the era of globalization is to pay particular emphasis to strengthening their human resources by upgrading the relevant competencies. Addressing these issues is a necessary step towards facing the challenges of globalization in to the next millennium. Golden, K.A. & Ramanujam,. Between a dream and a nightmare: On the integration of human resource management and strategic business planning. Gary Dessler, Ninth Edition Human Resource Management. Delery, J. E & Doty, D. H. Modes of theorizing in strategic human resource management: Tests of universalistic, contingency and configurational performance predictions. Academy of Management Journal, Phillips, N. Innovative management. London: Pitman. Arshad Husain, is a PROFESSOR of MARKETING & HRM, Member of the Management Committee, and a Head of Department at one of the best universities in Pakistan. He was previously CHAIRMAN of MARKETING & HR at another excellent university. He himself, is extremely highly educated from the very best universities. He has had a long career progression in multinational organizations rising very quickly at a young age through the Oil, Engineering, Telecommunications, Automobile, and finally the Pharmaceutical Sector. He has traveled widely Internationally overseeing contracts specially, during his work experience based in ENGLAND at a top management position as General Manager, International Operations, Heading the Marketing , Human Resources, and Material Operations departments in a multinational global organization based in LONDON. He has independently headed an HR Department, as Director Human Resources in a multinational global organization. He became a CHIEF EXECUTIVE OFFICER (CEO), of a global multinational company in PAKISTAN, which position he held for a number of years, and was later (even as a CEO), visiting faculty at top universities before settling down as permanent faculty as mentioned above. He teaches a total of 31 Management Science subjects which includes the whole range of Human Resource Management and Marketing subjects, plus other subjects of interest in Management such as Leadership, Decision Making, Organizational Development etc. He is a guest speaker at many universities in Pakistan, and abroad. He has written a book on Business Research which is presently under publication as per HEC requirements, and is in the process of writing a book on Project Management, and yet another, on the New Perspective of HRM in Pakistan. He has had many research articles published internationally. Broadly speaking, the term ‘globalization’ means integration of economies and societies through cross country flows of information, ideas, technologies, goods, services, capital, finance and people. Cross border integration can have several dimensions – cultural, social, political and economic. In fact, some people fear cultural and social integration even more than economic integration. The fear of “cultural hegemony” haunts many. Limiting ourselves to economic integration, one can see this happen through the three channels of (a) trade in goods and services, (b) movement of capital and (c) flow of finance. Besides, there is also the channel through movement of people. Globalization has been a historical process with ebbs and flows. During the Pre-World War I period of 1870 to 1914, there was rapid integration of the economies in terms of trade flows, movement of capital and migration of people. The growth of globalization was mainly led by the technological forces in the fields of transport and communication. There were less barriers to flow of trade and people across the geographical boundaries. Indeed there were no passports and visa requirements and very few non-tariff barriers and restrictions on fund flows. The pace of globalization, however, decelerated between the First and the Second World War. The inter-war period witnessed the erection of various barriers to restrict free movement of goods and services. Most economies thought that they could thrive better under high protective walls. After World War II, all the leading countries resolved not to repeat the mistakes they had committed previously by opting for isolation. Although after 1945, there was a drive to increased integration, it took a long time to reach the Pre-World War I level. In terms of percentage of exports and imports to total output, the US could reach the pre-World War level of 11 per cent only around 1970. Most of the developing countries which gained Independence from the colonial rule in the immediate Post-World War II period followed an import substitution industrialization regime. The Soviet bloc countries were also shielded from the process of global economic integration. However, times have changed. In the last two decades, the process of globalization has proceeded with greater vigour. The former Soviet bloc countries are getting integrated with the global economy. More and more developing countries are turning towards outward oriented policy of growth. Yet, studies point out that trade and capital markets are no more globalized today than they were at the end of the 19th century. Nevertheless, there are more concerns about globalization now than before because of the nature and speed of transformation. What is striking in the current episode is not only the rapid pace but also the enormous impact of new information technologies on market integration, efficiency and industrial organization. Globalization of financial markets has far outpaced the integration of product markets. The gains from globalization can be analyzed in the context of the three types of channels of economic globalization identified earlier. According to the standard theory, international trade leads to allocation of resources that is consistent with comparative advantage. This results in specialization which enhances productivity. It is accepted that international trade, in general, is beneficial and that restrictive trade practices impede growth. That is the reason why many of the emerging economies, which originally depended on a growth model of import substitution, have moved over to a policy of outward orientation. However, in relation to trade in goods and services, there is one major concern. Emerging economies will reap the benefits of international trade only if they reach the full potential of their resource availability. This will probably require time. That is why international trade agreements make exceptions by allowing longer time to developing economies in terms of reduction in tariff and non-tariff barriers. “Special and differentiated treatment”, as it is very often called has become an accepted principle. Capital flows across countries have played an important role in enhancing the production base. This was very much true in 19th and 20th centuries. Capital mobility enables the total savings of the world to be distributed among countries which have the highest investment potential. Under these circumstances, one country’s growth is not constrained by its own domestic savings. The inflow of foreign capital has played a significant role in the development in the recent period of the East Asian countries. The current account deficit of some of these countries had exceeded 5 per cent of the GDP in most of the period when growth was rapid. Capital flows can take either the form of foreign direct investment or portfolio investment. For developing countries the preferred alternative is foreign direct investment. Portfolio investment does not directly lead to expansion of productive capacity. It may do so, however, at one step removed. Portfolio investment can be volatile particularly in times of loss of confidence. That is why countries want to put restrictions on portfolio investment. However, in an open system such restrictions cannot work easily. The rapid development of the capital market has been one of the important features of the current process of globalization. While the growth in capital and foreign exchange markets have facilitated the transfer of resources across borders, the gross turnover in foreign exchange markets has been extremely large. It is estimated that the gross turnover is around $ 1.5 trillion per day worldwide (Frankel, 2000). This is of the order of hundred times greater than the volume of trade in goods and services. Currency trade has become an end in itself. The expansion in foreign exchange markets and capital markets is a necessary pre-requisite for international transfer of capital. However, the volatility in the foreign exchange market and the ease with which funds can be withdrawn from countries have created often times panic situations. The most recent example of this was the East Asian crisis. Contagion of financial crises is a worrying phenomenon. When one country faces a crisis, it affects others. It is not as if financial crises are solely caused by foreign exchange traders. What the financial markets tend to do is to exaggerate weaknesses. Herd instinct is not uncommon in financial markets. When an economy becomes more open to capital and financial flows, there is even greater compulsion to ensure that factors relating to macro-economic stability are not ignored. This is a lesson all developing countries have to learn from East Asian crisis. As one commentator aptly said “The trigger was sentiment, but vulnerability was due to fundamentals”. On the impact of globalization, there are two major concerns. These may be described as even fears. Under each major concern there are many related anxieties. The first major concern is that globalization leads to a more iniquitous distribution of income among countries and within countries. The second fear is that globalization leads to loss of national sovereignty and that countries are finding it increasingly difficult to follow independent domestic policies. These two issues have to be addressed both theoretically and empirically. The argument that globalization leads to inequality is based on the premise that since globalization emphasizes efficiency, gains will accrue to countries which are favourably endowed with natural and human resources. Advanced countries have had a head start over the other countries by at least three centuries. The technological base of these countries is not only wide but highly sophisticated. While trade benefits all countries, greater gains accrue to the industrially advanced countries. This is the reason why even in the present trade agreements, a case has been built up for special and differential treatment in relation to developing countries. By and large, this treatment provides for longer transition periods in relation to adjustment. However, there are two changes with respect to international trade which may work to the advantage of the developing countries. First, for a variety of reasons, the industrially advanced countries are vacating certain areas of production. These can be filled in by developing countries. A good example of this is what the East Asian countries did in the 1970s and 1980s. Second, international trade is no longer determined by the distribution of natural resources. With the advent of information technology, the role of human resources has emerged as more important. Specialized human skills will become the determining factor in the coming decades. Productive activities are becoming “knowledge intensive” rather than “resource intensive”. While there is a divide between developing and the advanced countries even in this area – some people call it the digital divide – it is a gap which can be bridged. A globalized economy with increased specialization can lead to improved productivity and faster growth. What will be required is a balancing mechanism to ensure that the handicaps of the developing countries are overcome. Apart from the possible iniquitous distribution of income among countries, it has also been argued that globalization leads to widening income gaps within the countries as well. This can happen both in the developed and developing economies. The argument is the same as was advanced in relation to iniquitous distribution among countries. Globalization may benefit even within a country those who have the skills and the technology. The higher growth rate achieved by an economy can be at the expense of declining incomes of people who may be rendered redundant. In this context, it has to be noted that while globalization may accelerate the process of technology substitution in developing economies, these countries even without globalization will face the problem associated with moving from lower to higher technology. If the growth rate of the economy accelerates sufficiently, then part of the resources can be diverted by the state to modernize and re-equip people who may be affected by the process of technology up gradation. The second concern relates to the loss of autonomy in the pursuit of economic policies. In a highly integrated world economy, it is true that one country cannot pursue policies which are not in consonance with the worldwide trends. Capital and technology are fluid and they will move where the benefits are greater. As the nations come together whether it be in the political, social or economic arena, some sacrifice of sovereignty is inevitable. The constraints of a globalised economic system on the pursuit of domestic policies have to be recognised. However, it need not result in the abdication of domestic objectives. Another fear associated with globalization is insecurity and volatility. When countries are inter-related strongly, a small spark can start a large conflagration. Panic and fear spread fast. The downside to globalization essentially emphasizes the need to create countervailing forces in the form of institutions and policies at the international level. Global governance cannot be pushed to the periphery, as integration gathers speed. Empirical evidence on the impact of globalization on inequality is not very clear. The share in aggregate world exports and in world output of the developing countries has been increasing. In aggregate world exports, the share of developing countries increased from 20.6 per cent in 1988-90 to 29.9 per cent in 2000. Similarly the share in aggregate world output of developing countries has increased from 17.9 per cent in 1988-90 to 40.4 per cent in 2000. The growth rate of the developing countries both in terms of GDP and per capita GDP has been higher than those of the industrial countries. These growth rates have been in fact higher in the 1990s than in the 1980s. All these data do not indicate that the developing countries as a group have suffered in the process of globalization. In fact, there have been substantial gains. But within developing countries, Africa has not done well and some of the South Asian countries have done better only in the 1990s. While the growth rate in per capita income of the developing countries in the 1990s is nearly two times higher than that of industrialized countries, in absolute terms the gap in per capita income has widened. As for income distribution within the countries, it is difficult to judge whether globalization is the primary factor responsible for any deterioration in the distribution of income. We have had considerable controversies in our country on what happened to the poverty ratio in the second half of 1990s. Most analysts even for India would agree that the poverty ratio has declined in the 1990s. Differences may exist as to what rate at which this has fallen. Nevertheless, whether it is in India or any other country, it is very difficult to trace the changes in the distribution of income within the countries directly to globalization. What should be India’s attitude in this environment of growing globalization? At the outset it must be mentioned that opting out of globalization is not a viable choice. There are at present 149 members in the World Trade Organisation (WTO). Some 25 countries are waiting to join the WTO. China has recently been admitted as a member. What is needed is to evolve an appropriate framework to wrest maximum benefits out of international trade and investment. This framework should include (a) making explicit the list of demands that India would like to make on the multilateral trade system, and (b) steps that India should take to realize the full potential from globalization. unilateral trade action and extra territorial application of national laws and regulations, and (6) effective restraint on industrialized countries in initiating anti-dumping and countervailing action against exports from developing countries. The purpose of the new trading system must be to ensure “free and fair” trade among countries. The emphasis so far has been on “free” rather than “fair” trade. It is in this context that the rich industrially advanced countries have an obligation. They have often indulged in “double speak”. While requiring developing countries to dismantle barriers and join the main stream of international trade, they have been raising significant tariff and non-tariff barriers on trade from developing countries. Very often, this has been the consequence of heavy lobbying in the advanced countries to protect ‘labour’. Although average tariffs in the United States, Canada, European Union and Japan – the so called Quad countries – range from only 4.3 per cent in Japan to 8.3 per cent in Canada, their tariff and trade barriers remain much higher on many products exported by developing countries. Major agricultural food products such as meat, sugar and dairy products attract tariff rates exceeding 100 per cent. Fruits and vegetables such as bananas are hit with a 180 per cent tariff by the European Union, once they exceed quotas. The tariffs collected by the US on $ 2 billion worth of imports from Bangladesh are higher than those imposed on imports worth $ 30 billion from France. In fact, these trade barriers impose a serious burden on the developing countries. It is important that if the rich countries want a trading system that is truly fair, they should come forward to reduce the trade barriers and subsidies that prevent the products of developing countries from reaching their markets. Otherwise the pleas of these countries for a competitive system will sound hollow. To some extent, conflicts among countries on trade matters are endemic. Until recently, agriculture was a major bone of contention between U.S. and E.U. countries. Frictions are also bound to arise among developing countries as well. When import tariffs on edible oil were increased in India, the most severe protest came from Malaysia which was a major exporter of Palm Oil. Entrepreneurs in India complain of cheaper imports from China. In the export of rice, a major competitor of India is Thailand. If development is accepted as the major objective of trade as the Doha declaration proclaimed, it should be possible to work out a trading arrangement that is beneficial to all countries. There have been protracted negotiations at WTO in reforming the trade system. Admittedly, the tariff and non-tariff barriers are coming down. However, there are apprehensions that the concerns of developing countries are not being addressed adequately. Looked at from this angle, the recent Hong Kong Ministerial is a modest success. Despite reservations, we must acknowledge that it is a step forward. Domestic support to agriculture by developed countries constitutes a major stumbling block to third world trade expansion. However, India’s stand in relation to agriculture has been `defensive’. We are not a major player in the world agricultural market. The impact of what has been accepted in relation to Non-Agricultural Market Access and services will vary from country to country. Despite some contrarian opinion, the gain to India from services can be significant. However, the Hong Kong Ministerial is only a broad statement of intentions. Much will depend upon how these ideas are translated into concrete actions. The second set of measures that should form part of the action plan must relate to strengthening India’s position in international trade. India has many strengths, which several developing countries lack. In that sense, India is different and is in a stronger position to gain from international trade and investment. India’s rise to the top of the IT industry in the world is a reflection of the abundance of skilled manpower in our country. It is, therefore, in India’s interest to ensure that there is a greater freedom of movement of skilled manpower. At the same time, we should attempt to take all efforts to ensure that we continue to remain a frontline country in the area of skilled manpower. India can attract greater foreign investment, if we can accelerate our growth with stability. Stability, in this context, means reasonable balance on the fiscal and external accounts. We must maintain a competitive environment domestically so that we can take full advantage of wider market access. We must make good use of the extended time given to developing countries to dismantle trade barriers. Wherever legislations are required to protect sectors like agriculture, they need to be enacted quickly. In fact, we had taken a long time to pass the Protection of Plant Varieties and Farmers’ Rights Act. We must also be active in ensuring that our firms make effective use of the new patent rights. South Korea has been able to file in recent years as many as 5000 patent applications in the United States whereas in 1986, the country filed only 162. China has also been very active in this area. We need a truly active agency in India to encourage Indian firms to file patent applications. In effect, we must build the complementary institutions necessary for maximizing the benefits from international trade and investment. Changes in the foreign trade and foreign investment policies have altered the environment in which Indian industries have to operate. The path of transition is, no doubt, difficult. A greater integration of the Indian economy with the rest of the world is unavoidable. It is important that Indian industry be forward looking and get organized to compete with the rest of the world at levels of tariff comparable to those of other developing countries. Obviously, the Indian Government should be alert to ensure that Indian industries are not the victims of unfair trade practices. The safeguards available in the WTO agreement must be fully utilized to protect the interests of Indian industries. Indian industry has a right to demand that the macro economic policy environment should be conducive to rapid economic growth. The configuration of policy decisions in the recent period has been attempting to do that. It is, however, time for Indian industrial units to recognize that the challenges of the new century demand greater action at the enterprise level. They have to learn to swim in the tempestuous waters of competition and away from the protected waters of the swimming pools. India is no longer a country producing goods and services for the domestic market alone. Indian firms are becoming and have to become global players. At the minimum, they must be able to meet global competition. The search for identifying new competitive advantages must begin earnestly. India’s ascendancy in Information Technology (IT) is only partly by design. However, it must be said to the credit of policy makers that once the potential in this area was discovered, the policy environment became strongly industry friendly. Over a wide spectrum of activities, India’s advantage, actual and that which can be realized in a short span of time must be drawn up. Of course, in a number of cases, it will require building plants on a global scale. But, this need not necessarily be so in all cases. In fact the advent of IT is modifying the industrial structure. The revolution in telecommunications and IT is simultaneously creating a huge single market economy, while making the parts smaller and more powerful. What we need today is a road map for the Indian industry. It must delineate the path different industries must take to achieve productivity and efficiency levels comparable to the best in the world. Globalization, in a fundamental sense, is not a new phenomenon. Its roots extend farther and deeper than the visible part of the plant. It is as old as history, starting with the great migrations of people across the great landmasses. Only recent developments in computer and communication technologies have accelerated the process of integration, with geographic distances becoming less of a factor. Is this ‘end of geography’ a boon or a bane? Borders have become porous and the sky is open. With modern technologies which do not recognize geography, it is not possible to hold back ideas either in the political, economic or cultural spheres. Each country must prepare itself to meet the new challenges so that it is not being bypassed by this huge wave of technological and institutional changes. Nothing is an unmixed blessing. Globalization in its present form though spurred by far reaching technological changes is not a pure technological phenomenon. It has many dimensions including ideological. To deal with this phenomenon, we must understand the gains and losses, the benefits as well as dangers. To be forewarned, as the saying goes, is to be forearmed. But we should not throw the baby with bath water. We should also resist the temptation to blame globalization for all our failures. Most often, as the poet said, the fault is in ourselves. Risks of an open economy are well known. We must not, nevertheless, miss the opportunities that the global system can offer. As an eminent critic put it, the world cannot marginalize India. But India, if it chooses, can marginalize itself. We must guard ourselves against this danger. More than many other developing countries, India is in a position to wrest significant gains from globalization. However, we must voice our concerns and in cooperation with other developing countries modify the international trading arrangements to take care of the special needs of such countries. At the same time, we must identify and strengthen our comparative advantages. It is this two-fold approach which will enable us to meet the challenges of globalization which may be the defining characteristic of the new millennium. The key to India’s growth lies in improving productivity and efficiency. This has to permeate all walks of our life. Contrary to the general impression, the natural resources of our country are not large. India accounts for 16.7 per cent of world’s population whereas it has only 2.0 per cent of world’s land area. While China’s population is 30 per cent higher than that of India’s, it has a land area which is three times that of India. In fact, from the point of view of long-range sustainability, the need for greater efficiency in the management of natural resources like land, water and minerals has become urgent. In a capital-scarce economy like ours, efficient utilization of our capacity becomes even more critical. For all of these things to happen, we need well-trained and highly skilled people. In the world of today, competition in any field is competition in knowledge. That is why we need to build institutions of excellence. I am, therefore, happy that the Ahmedabad Management Association, besides other functions, is also focusing on excellence in education. Increased productivity flowing from improved skills is the real answer to globalisation. It was once said that if you build a better mouse trap the world will beat a path to your door. This has been true throughout the beginning of the United States. What I mean is that the economic success of the United States has always depended on building better mouse traps. The first of several mouse traps for the US was the locomotive engine of the mid-nineteenth century. It sustained our economy for nearly forty years. The locomotive engine and the railway system that went with it revolutionized travel and created the economic backbone for the United States. Goods could be transported across the country quicker and cheaper; what a concept. It created thousands of jobs from running the railroad to building them. Spin- offs of the locomotion revolution included steam shipping. Now goods could be transported safely, quicker and cheaper across oceans; amazing. However, by the late nineteenth century the locomotive economy became saturated. Today we would say that economic bubble burst. There was no worry though, because right around the corner was the next mouse trap, the automobile. This new innovative way of travel again spelled jobs for hundreds of thousands if not millions of people, between building cars, retrieving oil and gas, roads, rubber for tires, stop lights and laws and regulation. Dove-tailed with the automotive industry was aviation. This next mouse trap sustained the US economy through the last part of the nineteenth century up until the Great Depression. During the lost years of the Great Depression there was no new technology to revive our faltering and fragile economy. It could be argued the financial practices that lead to the Great Depression were to sustain a faltering economy because the automobile bubble burst and there was nothing to replace it. Sound familiar? Let’s continue and see. Despite monumental economic policies our economy wasn’t rejuvenated until our entrance into WWII. Though there was weapons innovation, most of the emergence of a strong US economy was based on the production of a colossal war machine which was able to beat back the enemies of freedom effectively. After WWII, though the United States did slide into a recession. Since there was no need for war materials any longer and troops were returning to the work force, and considering that the US was the only industrialized nation with an intact infrastructure, it was able to become the initial producer of goods for a war ravaged world. Adding to our prosperity was the invention of the transistor radio which was quickly followed by the mass production of television – the mouse traps of the 50’s and 60’s. A whole new media industry was invented, which allowed the entertainment industry to develop into its own economic force which is such a big part of the world economy today. Don’t believe me? You should watch “Mad Men” on AMC. During this time of prosperity the United States developed a standard of living not seen anywhere else in the world. This unprecedented standard of living was fueled by the fact that labor demands were never challenged since there was no competition from the global markets yet. Europe and Japan were too busy digging out from WWII. This was also the period where many said that we’ve seen to most progressive tax policies of the United States. Why not? The sky’s the limit the United States was on top of the economic world. In the late sixties there were those who believed that if the United States was to remain competitive in the world market for the last quarter of the twentieth century, manufacturing needed to automate and emphasis needed to be put on research and development. Unfortunately opposing forces such as the UAW and the Steel Workers Union believed that it was unnecessary and that the American labor force was untouchable. Then came the seventies and flaws in our system became visible. We could no longer ignore foreign competition. Europe and Japan finally dug out of WWII, and transoceanic shipping became affordable. The once indestructible US auto industry became threatened by upstarts such as Datsun, Honda, Toyota and Volkswagen. Steel could be bought in Germany and shipped here for less than it cost to make here. Foreign countries had the new mouse trap, manufacturing goods cheaper and more efficiently. America had lost its edge. There were those in the eighties that were able to help us escape the doldrums of the seventies. Lee Iacocca, for one, revitalized Chrysler by investing in automation, research and development. Still there were those that opposed such a concept; these are the ones that wish for the status quo in an ever changing world. You know the type – the thirty five year old nurse who thinks the best time of her life was when she was the head cheerleader in high school. With this renewed confidence we were able to develop a new mouse trap, IT. Through the nineties the United States once again had the world beating a path to its door. Soft ware engineers became millionaires overnight, commanding outrageous prices for their work because, once again, the lack of competition. The United States itself was also prosperous with a project budget surplus. This occurred for two reasons; one- higher taxes, the other and more importantly -billions of dollars invested into the free market. IT experts didn’t mind paying more taxes because they were making six figure salaries. Many investors believed they would be able to retire by the turn of the century on their IPO investments. These people took money from savings where it really couldn’t be taxed much and put it into the free market. Once in the free market tax revenues could now increase. Why? Those invested dollars were now allowed to work creating tax revenues in the form of sales tax, payroll tax and income tax, which would not have been possible if it had remained in savings. Unfortunately this technologic evolution occurred very rapidly and with the advancement of globalization the rest of the world caught up with us quickly. Suddenly million dollar software firms found themselves competing with Yuri in Odessa and Sandeep in Sri Lanka working on their kitchen tables(just like this article is being written) giving clients the same quality product at a fraction of the cost. Late in 2000 the .com economy bubble burst. Since that time what has been there to replace the last mouse trap? Nothing, forget about it. The powers that be decided one possible way to keep the economy going was to invest in the housing market. Now the disenfranchised poor could afford to buy a home with no money down, allowing them to fulfill the American dream of owning their own home. In a classic robbing Peter to pay Paul scheme, investment bankers actually bet on mortgage failure hoping to invest in the next mouse trap before it all came crashing down on everyone. In other words the gamble was for home construction to bolster the economy until the United States came up with the next mouse trap. Unfortunately it didn’t, and the crash of 2008 happened. In 2009 a massive stimulus package was passed by congress in order to revive the economy. This is based on Keynesian economics which believes that if you give someone a dollar, they put into the economy and it multiples into two or three dollars. On paper this sounds good, but in reality it’s been shaky. Even Christina Rohmer, the former director of President Obama’s economic advisors, believes the multiplier is .8 at best. In other words we’re only getting eighty cents for every dollar we invest, which is not good. The hope was that things like shovel ready jobs and tax breaks for commuters using mass transit would stimulate the economy. Unfortunately, what’s the use of a new road or mass transit if there isn’t a job at the other end? Why may you ask? When people talk about Keynesian economics, the phrase that gets thrown around is that we are priming the pump, sort of like investing in an idea with a payoff in the end. The way I see it, you can prime that pump all you want, it’s not going to do any good if the well is dry. That’s right – from a new technology point of view, the US is out of ideas. There still isn’t a new mouse trap in the pipeline, which equals a dry well. Some would ask what about green jobs? Is that the next mouse trap? Well not really. Unfortunately green jobs are a little like re-inventing the wheel. Let me explain before Green Peace tries to burn my effigy at the stake. Over the centuries the wheel has sort of been re-invented. Compare a caveman pushing a boulder over round logs to a Ferrari on Michelins – same concept, different outcomes. It’s the same with green technology, the same technology just more energy efficient and better for the environment. Really how long will it take for the wind turbine technician market to become saturated? I give it three years. We need to be innovated and creative but, I have concerns. Why? A lot of people know what Snookie said last night on Jersey Shore, but can’t tell you what contributions George Washington Carver made to science. High school students have no trouble naming twenty beers, but can’t tell you the last five Presidents. Entrepreneurship is being stymied by regulation, taxation and a fear of competition. If this country is to survive legislation and politics will only help so much. If you don’t believe me, remember that all of the net jobs created in the last thirty years were because of new business. We need a better mouse trap and we need it fast. President Obama and President Dmitry Medvedev of Russia hold a joint press conference after meeting at the White House. June 24, 2010. Higher education, today, is undergoing a more radical transformation than perhaps any other aspect of our culture. Educational institutions world-wide are undergoing fundamental shifts in how they operate and interact with their “customers”: students, alumni, faculty members, and staff members. The quality of knowledge generated with higher educational institutions and its availability to wider economy is becoming increasingly critical to national competitiveness. New technology-based tools for gathering and disseminating knowledge have become central element of today’s education. Technological, economic, sociological, and governmental forces are altering education dramatically, impacting its institutions, teachers, students, funding sources, and basic function in society. To unlock potential and helping talented people to gain advanced training, whatever their background, requires customer-centric approach to education. During the mid-1980s and late 1990s, over-crowded classes, inadequate library and laboratory facilities, and little student’s services have been the norms in most of the institutions. Rarely has an institution responded by creating remedial program for inadequately prepared students. But now colleges and universities have initiated re-structuring and re-engineering their operating processes to cut costs and become more efficient while responding to increased competition. Higher education customers are demanding more attention and immediate service. Proactive institutes are now adjusting their practices by refocusing their efforts externally. Because of the need to concentrate more on customers, many institutions are tuning to customer relationship management. CRM is important because of the changes occurring in the competitive environment. Globalization and the Internet mean that competition can now come as easily from around the world as from around the corner. Power and choice are moving to the customer as never before, and leading to the commoditization of products and services in most situations. In today’s scenario, most of the institutions want to compete with others. To compete with other institutions, some institutions are getting autonomous status, some of them are trying to get ISO Certification, others are looking for accreditation status, deemed university status, and some others are tied-up with multi-national companies (MNCs), and so on. The institutions, which are not ready to compete, will surely become as “Void and Vanish”. It is essential that academic institutions have to concentrate about some strategies, techniques, or methods by which they can become “Brand Building”. And one such strategy is CRM. CRM strategy for an academic institution should lead to employment rather than merely giving education. At present, academic institutions are eager to maintain a long-term relationship with the students rather than a relation which is related only to their course duration. Customer relationship management is all about satisfying and retaining the customer by providing the perquisites he/she desires for. The relations that are maintained are a kind of trust that the institutions provide to its customers (students) and fulfill them. Educational institutions are also among those profit-making institutions which are attaining the path of CRM. Academic institutions are themselves not different from any other organizations. They are themselves profit-making firms who impart education for money and try to grow as any other organization. Whether they are government-owned or self-financed private institutions; almost all educational institutions are profit-making organizations. Such organizations focus on CRM not only to impart state-of-the-art education to their students, but also have to maintain relations with their working staff, administrators, companies, vendors and with their primary customers – students. CRM plays an increasingly important role in maintaining such relationships in these organizations. Because higher education is far enough behind the commercial sector to gain from the CRM and assume customer-centric approaches. Teaching departments and offices work as separate entities in many colleges and universities today. Faced with divisional boundaries, it is often very difficult for these different institutional functions to focus on their customers in a coordinated fashion. By providing a common platform for customer communication and interaction, CRM applications are designed to increase the effectiveness of staff members who interact with customers or prospects. Emerging CRM processes and technologies are going to drive the growth of new types of resources and services. Within the higher education enterprises, much of this new functionality is focused in the students’ area. The exciting new level of student-related functionality and performance is having an impact on students as well as on the administrative staff and management, companies, the faculty, media, and the institution as a whole. Students – Today’s system has little to offer students, particularly the new breed of technology-savvy students who want to be more in control of their learning environment. Today’s students demand a higher level of access to information about their options, their performance, and their future. They also demand the technology resources to be an integral part of their learning experience. The standard for access to faculty and student services will change as students come to expect virtual access to faculty and student services resources. The old ways of interacting with students will become untenable – like expecting them to line-up for hours when instead they can choose an institution that can meet their needs on their own terms, on their schedule, with virtual support system. Companies – Companies come to educational institutions for recruiting their students in campus selection procedures. They are so amongst the most important clients of such education organizations. Keeping continuous and direct contacts with these companies will enable institutes to maintain good and healthy relationships and improve contacts and service to them. Administrators – A CRM business strategy for a college or university administrative system would also introduce a true self-service system that empowers the administrative team to rethink the investment to administrative resources in institutional services. Faculty Members – Today’s system provides little value for faculty members. In the new learning environment, faculty and student services are closely linked, dynamically sharing resources and strategies to enable student learning. Imagine a process whereby a faculty member can make immediate student referrals to key support programs on campus-even when working at home. The Institution – CRM delivers a new conceptual and structural framework for directing institutional activities to attract and retain its various customers. Most import is the ability of a truly robust set of institutional processes and tools to bring the entire institution together around its people. Media – Academic institutions are many times interested in advertising, publicizing, promoting, and marketing for them. In doing this, they are required to maintain and be in contact with various media-based service-providers who help them for this purpose. CRM plays an important role in maintaining and making new such productive, profitable, rewarding, and fruitful relationships, which benefit these organizations on short and long runs both. Fortunately, emerging methodologies in research and marketing offer higher education institutions the ability to adapt and evolve by building an ongoing dialogue with students, admissions representatives, parents, employers and alumni. This dialogue serves as the process by which an educational brand is built and maintained. Using an effective Customer Relationship Management (CRM) solution is vital for education establishments to deal more efficiently with the complex multi-level relationships they have to manage. Part 2 – How relevant is your current sales strategy? In the last article, the first one in this series, we discussed the importance of having the “right people on the bus”. I also mentioned the exciting opportunity you have in front of you right now, without having to rush out and hire rainmakers and experienced sellers; because with the right tools and strategies, you can develop your own team of highly process directed and motivated sellers yourself. As a sales leader it lies within your own locus of control to build a consistent, repeatable and predictable sales process, as well as train and develop a motivated and process directed sales team. Imagine a team made up of highly trained, motivated and process directed salespeople? Well, the good news is you can begin this practice immediately! The first element that will make an impact on the results you achieve is “Sales Strategy”. Before you even consider any of the other 3 Codes you must be sure that, as Stephen Covey says “Your ladder is leaning up against the right wall” Here’s the thing… whether you have a team of champions or not, if your sales strategy is wrong, in other words “if you are selling analogue systems and your market has moved to digital technology” then your ladder is leaning up against the wrong wall. In this case, no matter whom you have on the team your sales efforts will fail. You’re heading in the wrong direction! Is your current customer acquisition (new business) and retention (existing customer growth) strategy both relevant and effective in the prevailing market? In other words is your current sales strategy working, yes or no? How do you know? Is your current market shrinking or growing or has it simply just stalled? How do you know? In his landmark book, “Who Moved my Cheese?”author Spencer Johnson relates a simple parable that reveals profound truths about change. “Who moved my cheese?” is the story of four characters living in a “maze” that face unexpected change when they discover their “cheese” has disappeared. Let’s face it; it’s no secret that over this last year for many of us in business, our cheese too has moved. Many markets have shifted and some have even disappeared altogether. So pouring on more sales activity or investing money on more sales training or sales process improvement just means that your team will arrive nowhere quicker! If this is the case for you, then it is an imperative that you look to implementing a new customer acquisition and retention strategy ASAP. The sooner you recognise that your cheese may have have moved and that you are existing on crumbs or in some instances only a whiff of what was once a whole storehouse of cheese, the sooner you can re-channel your sales teams energies into new markets looking for fresh opportunities. This means re- appraising the value of your core capabilities*. It means clearly and objectively understanding what you are good at and what problems you solve and are your solutions still relevant? Then, if you suspect that your cheese has moved, you will then need to figure out who else has those problems. Having determined the “who else”, you will now need to assess what modifications you may be required to make at both a product and marketing collateral level to reflect your solution to the market. How sure are we that our strategy for attracting new customers and growing existing ones is still appropriate? How do we know? If customer buying patterns have slowed or stalled, how can you help your customer to help their customers purchase more? Does your marketing collateral accurately explain how you solve your customer’s current problems or help them achieve their current goals? How do you know? When last did you review your sales messages? What exactly are your sales people saying? Are their sales messages compelling enough? A year ago most companies were interested in how you could help them grow. Today’s markets are focused on saving money, cost reduction and reducing risk. Do your sales messages reflect this massive shift in perception? Has your marketing collateral changed with the changing needs of your market? I have been working with a risk management organization that catered specifically to the freight industry. They set up profitable in-house insurance funds, effectively allowing the freight company to self-fund an insurance program for their customer’s goods and packages. Well, talk about a “cheese movement!” When the economy swung south his prospects all but shut shop, (in point of fact many actually did), and going into complete survival mode, most became completely insular and refused to even take my client’s calls. Our challenge was to shift strategy and go in search of a new market. On reviewing and answering some of the questions listed below we came up a few new target markets. Some new market suggestions were a little too far right of centre and would have taken a whole lot of product development to ensure a good fit, but one market in particular, only a mere 5% shift left of his current existing market looked potentially very lucrative. On-line, web based merchants who ship product around the country seemed like a reasonable bet, without having to re-engineer the product too much. After a little research and within a few short weeks my client had a number of large opportunities in the pipeline. In the next article I will unpack the details of sales strategy. XIO Strategies, Inc., a supply chain management and communications consulting firm, and RFID Revolution, provider of innovative web-based RFID training, today announced that they have formed a partnership to promote RFID Revolution’s RFID Essentials training course to the federal government. “The RFID Essentials course is a robust, interactive web-based tool that brings real-world applications right to the desktop. Our decision to add RFID Essentials to our portfolio demonstrates XIO’s continued commitment to delivering a complete RFID solution for our clients; from analyzing existing business processes, to managing deployment in the supply chain, to training users and other stakeholders on the technology,” said James Clark, Chief Operating Officer of XIO Strategies. About XIO Strategies, Inc: XIO Strategies, a Vienna Virginia-based woman-owned business, specializes in end-to-end supply chain management and communications consulting services to government, military, and commercial organizations. XIO works with its customers to improve business processes, manage technology deployment, conduct research and training, and create marketing and communications programs during periods of change. 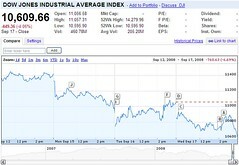 For more information, visit www.xiostrategies.com. About RFID Revolution: Based in the Washington, D.C. area, RFID Revolution, LLC provides radio frequency identification (RFID) education and market strategy consulting services. Its interactive, Web-based learning tool, RFID Essentials, provides professionals in end-user companies with comprehensive RFID working knowledge quickly and economically, so they can advance their organization’s RFID initiative and speed ROI. For more information, visit www.rfidrevolution.com. Sometimes other businesses do not have enough knowledge about what is an after sales commitment that some customers are very curious about it. There are lot of companies that deals with a lot of customers that annoys to a certain things, they are simply having this uncharacteristic attitudes that is so hard to understand, and sometimes this will just lead to an argument that cannot solve the problem. Businesses are responsible in giving favorable deal to their customers to maintain good relation. To every excellent companies is extent to which, and the intensity with which, the customers intrude into every nook and cranny of the business – sales, manufacturing, research and accounting. To become successful in business you must always strive on what is the best for the people and make sure that you will give what they need. Considered as the utility once team up with the company, this outsourcing industry will work on every detail that will give satisfaction to the people involved in it. Companies should learn more about alteration in bringing new ideas to reduce costs, and to develop the most important factor of their product. More and more companies are discovering the once sacrosanct area of customer care really can be done better and less expensively by an outsourcer. The product must be also properly discussed with this plan. While higher quality and lower cost can be achieved through outsourcing, the decision of which provider to choose must be based on overall value, and corporate objectives-not price alone. Most of the company’s need this outsources because they are having some difficulties on how to handle customer correctly and how to save money. The demand on how this outsource solution will react on any given problem is a must, functionality and flexibility will really test if it will meet what really is the customer is looking for. This has forced many of the outsource providers to simply ‘reuse’ whatever customized technology is already in house at the utility and build the offering around a specific level of service agreement. If this trend continues we will replace expensive and customized in house systems, with expensive and customized outsourced systems. The expenses will be determined within the house where the final operation takes place. In most of the businesses that this outsourcing is more popular, they already shows the improvement of the economic result, output production increases, the ideas become more wider and the cost really went down while giving the service that customers need is really present. With the existing capability of the outsource provider in giving solution that is really outstanding in any business, there will be more interested parties that will try to take advantage of the service. Many outsourcing firms can increasingly be given the opportunity to demonstrate power of utility usage and that they can indeed lower customer care costs without lowering the level of customer service. Try our Link building services a new concept of outsourcing link building.